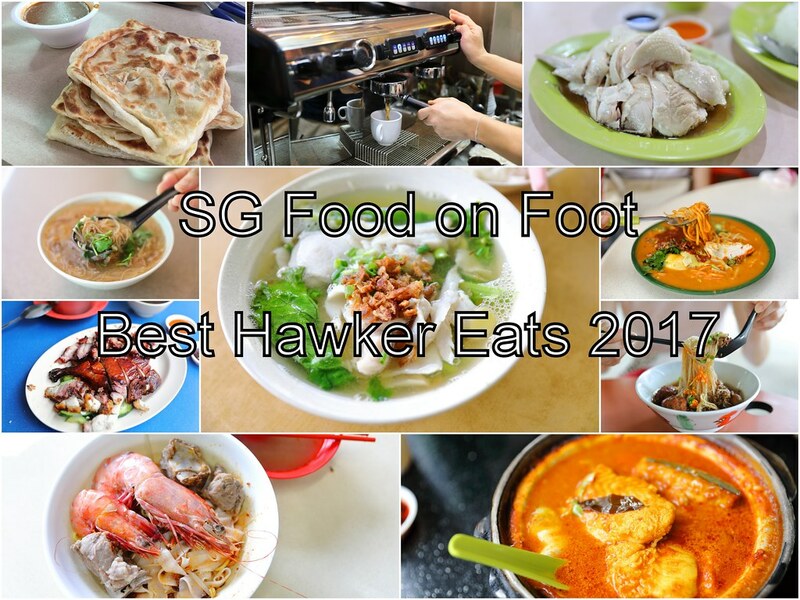 Mentioned in the earlier post, I decided to have a separate list for my best hawker eats for 2017. Some of these stalls are not really new, in fact most of the them have been around for a while. Besides the travelling to different parts of the island, most hawker stalls only opens from morning to around 2-3pm. It is a bit hard to visit them when you have a day job, unless for the weekends. Guess this is probably why it told me so long to visit some of these household name hawker stalls. Anyway, below is the list based on my dining experience and the fact that these stalls are near to MRT stations. 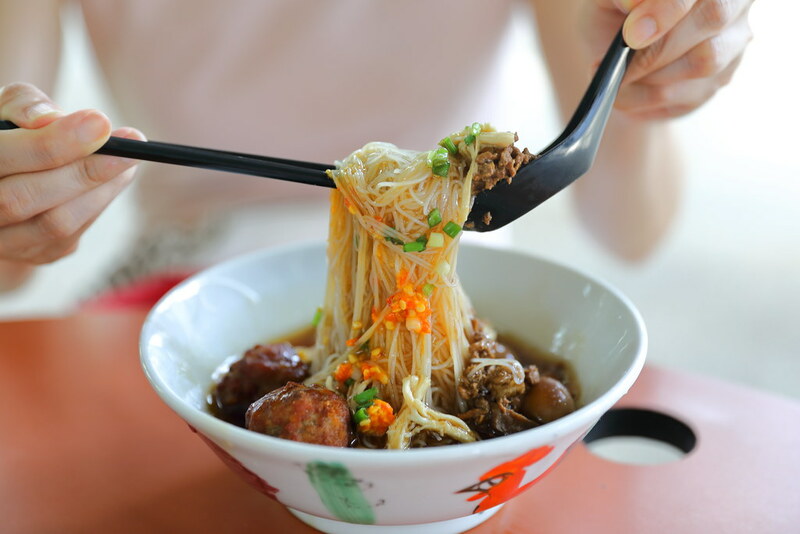 Aw's Signature Minced Pork Noodles at Tanglin Halt Food Centre is a rather unknown stall selling a very different type of bak chor mee at Tanglin Halt Food Centre. 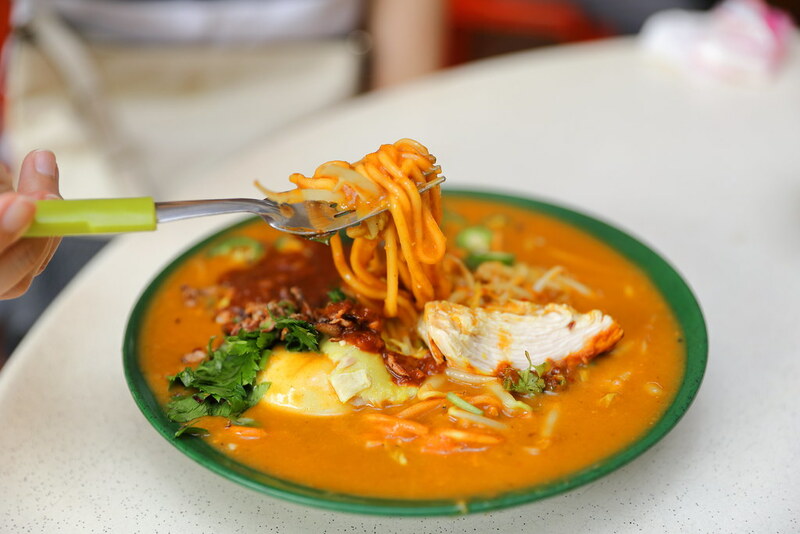 Besides the bak chor mee, it also sells other noodle dishes such as their signature noodle, fish maw beehoon, braised pork noodle and shredded chicken hor fun. The most exciting part in the discovering of this stall is that it is run by Gen-Y stall owner. The highlight for me is actually the Fish Maw Beehoon ($4). At first glance, it looks like a bowl of lor mee but it is not. The sauce is not gooey or starchy. Instead the braised sauce gravy complemented the silky beehoon excellently. The star is the soupcon of orange coloured looking chilli that elevated the whole experience to the next level. It definitely packed a punch. I will definitely asked for more in my next visit. Similar to the signature noodle, the bowl of beehoon comes with generous serving of fried meatball, quail egg, shredded chicken, fish maw and minced pork. 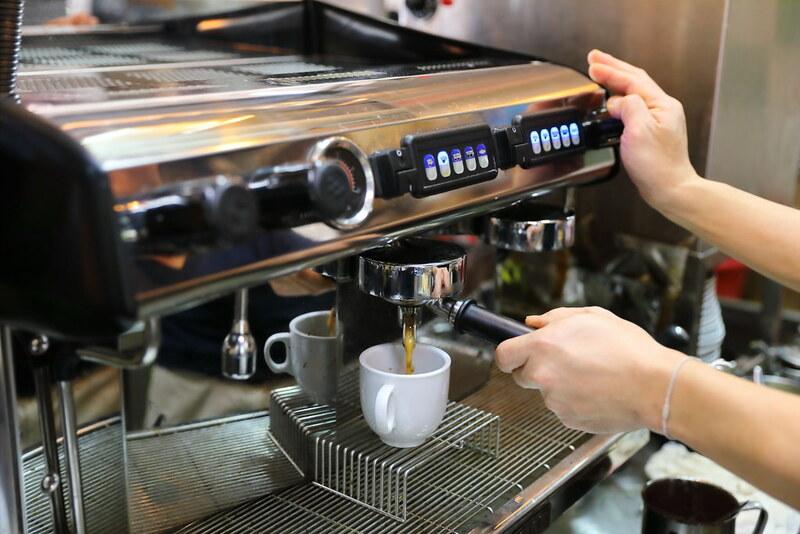 Located inside Kallang Basin Industrial Estate is Yew Yi Hup Kee Eating House which housed a number of food stalls providing cheap and comfort food for the workers in the area. With the opening of the downtown line 3, I made my way down to Claypot Delights (砂煲小吃), a hidden gem in the industrial estate offering a variety of claypot dishes for only $4. A bowl of rice comes at additional cost of $0.50. My favourite goes to the Claypot Assam Fish ($4). I really enjoyed the sourish of the assam that I drowned my rice with it. I suspect the fish used is the frozen type but for the price, I am not complaining. Eat 3 Bowls (呷三碗) at Seah Im Food Centre is a new stall opened by 2 young men. The Braised Pork Rice ($2.50) or also known as Lu Rou Fan is top notch. The braised sauce is not overly sweet with hints of spices such as star anise and cinnamon. The minced pork literally melted in the mouth which has absorbed the essence of the braising sauce which complemented the soft and pearly rice excellently. Their signature Intestine Mee Sua ($3.50) is also not to be missed. Using the red mee sua, the rendition by the 2 young gentlemen reminded me of my Taiwan trip. This is probably the best and closest I have eaten by far. 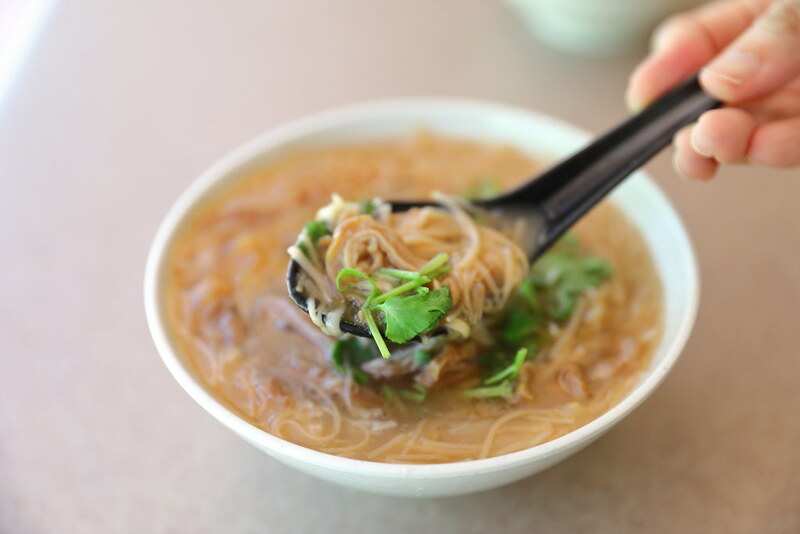 Add some garlic and vinegar to complete the full appreciation of the mee sua. 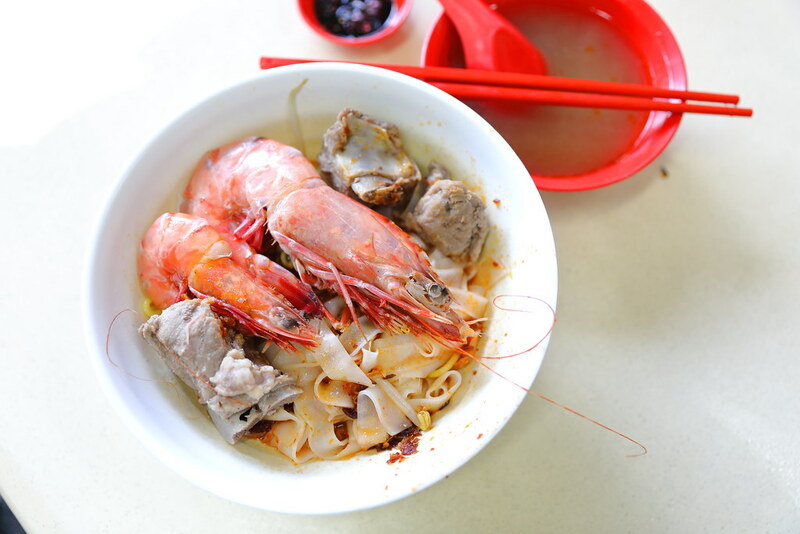 Located inside a coffeeshop along Pasir Panjang road at the corner of Pepys Road is Fei Zai Pork Rib Prawn Noodle (肥仔排骨虾面). The stall only opens in the morning and its usually sold out by 1pm. During my visit on a Saturday morning, there was a snaking queue and it told me about 30 minutes to savour the bowl of prawn noodle. The highlight is the hae bee him or spicy dry shrimp sambal chilli sauce. It has a good punch in it which goes very well with the noodles. The pork ribs was cooked to folk tender without the porky taste. It fell off the bone with ease. The soup was also robust and sweet. I could taste the essence of the prawn shells that has been boiled for hours. I have grown up in Hougang but I did not know about this awesome fish soup stall near my home. It is only after I moved to the West then I know about its existence. 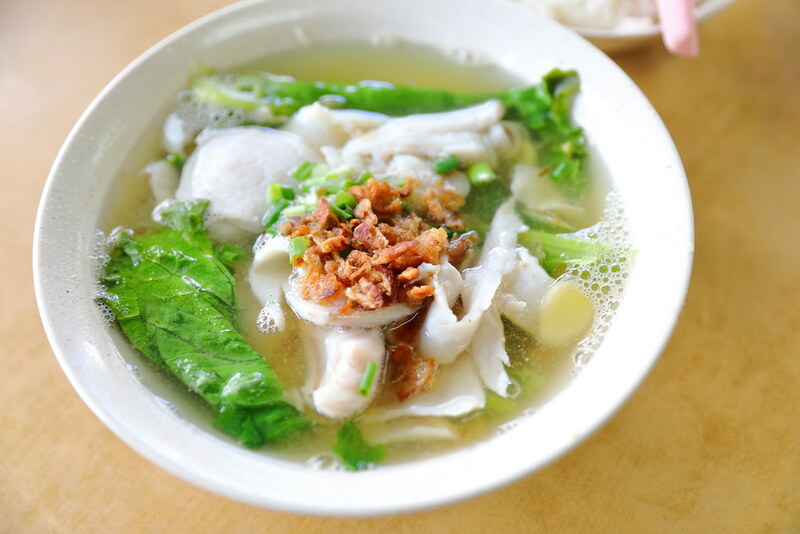 I have to travel all the way back to the East to visit First Street Teochew Fish Soup (第一街潮州鱼汤) to find out for myself why the stall has a constant long queue of customer willing to wait up to 30-45 minutes, just to have their fish soup. The stall offers a variety of fishes for the fish soups such as batang (mackerel), promfret and red garoupa. Customers also have a choice to add rice, porridge or mee sua to go along with their fish soup. My favourite among the dishes I tried is the Mixed Soup ($5/$7$10) which comes with batang fish, greens, squid, fish maw, fish cake, prawn, salted vegetables, ginger, fried shallots and minced pork. The highlight is the minced pork with is mixed with tee poh (dried sole fish). 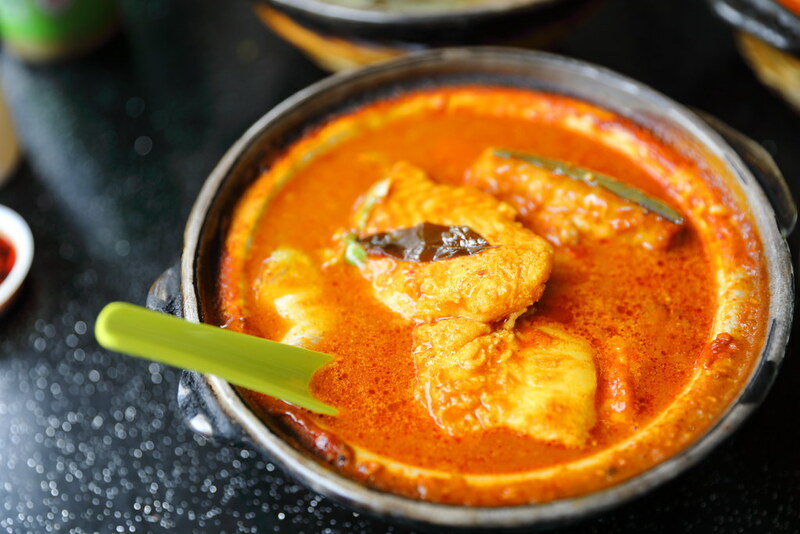 The stock of the fish soup is all the same but the additional of the minced pork with tee poh gives the soup an extra punch, elevating the flavour to a new level. Hua Kee Chicken Rice at Redhill Food Centre is one of those stalls that I wanted to visit the longest time. I have friends who even declare this as their number one chicken rice stall in Singapore. 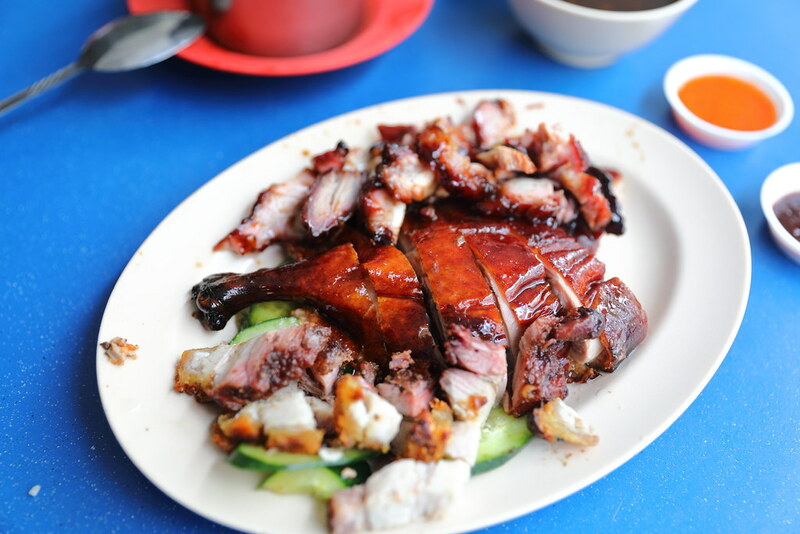 Hua Kee was founded over 30 years ago by Mdm Tan's husband. Now the stall is run by Mdm Tan and her son, Mr Jay Lim the 2nd generation. I like that the chicken here is chopped into chunky pieces which is tender and juicy. Most important I released what my friends meant that their chicken has that chicken taste while a lot of other places tasted rather bland. The other component for a good plate of chicken rice is the rice. I understand that the stall cooks their chicken rice with chicken oil and sesame oil in smaller batches using several smaller pots instead of one big pot. The chicken rice comes with a mild chicken aroma, fluffy, grainy and not greasy. I got to know about Mei Mei Roast at Ubi Road 1 when I came across a posting by my fellow foodie kaki, Uncle Bob. It got me even more excited to read that the stall is operated by Kay Lee's younger sister. Hence I decided to make my way down to the stall on a Sat to check it out since it is now more accessible with the new Downtown Line 3. My favourite is their Roasted Duck. The bird is given a coat of crispiness with a nice hint of charred smokiness. The meat was also tender and juicy. I manage to travel to Ang Mo Kio to try the legendary Power Mee Rebus from Rahim Muslim Food. It is understand that they have been around since 1960s and this is their fifth location. When I reached the stall on a Saturday afternoon, there was already a queue and it took me about half an hour to savour the bowl of noodle. I did not regret queuing up for the bowl of Mee Rebus ($3). It is indeed quite special. Not only does it come with the regular ingredients such as tau pok, bean sprouts and egg, there is also chunky pieces of poached chicken. Just before serving, satay sauce was ladled on top for a nutty finishing. Give the noodle a good toss in the gooey gravy which is neither too watery or starchy for a slurping shiokness. You probably would like to add more chicken for an additional 80 cents. Rahmath Cheese Prata is run by Mr Ali, who used to operate in Ang Mo Kio before relocating to the current place at Toa Payoh Lorong 4. He sells a total of 13 different types of prata, from savoury to sweet. We ordered both the Plain and Egg Prata which is freshly cooked upon. I disliked having prata that has already been pre-cooked which is cold and stale. 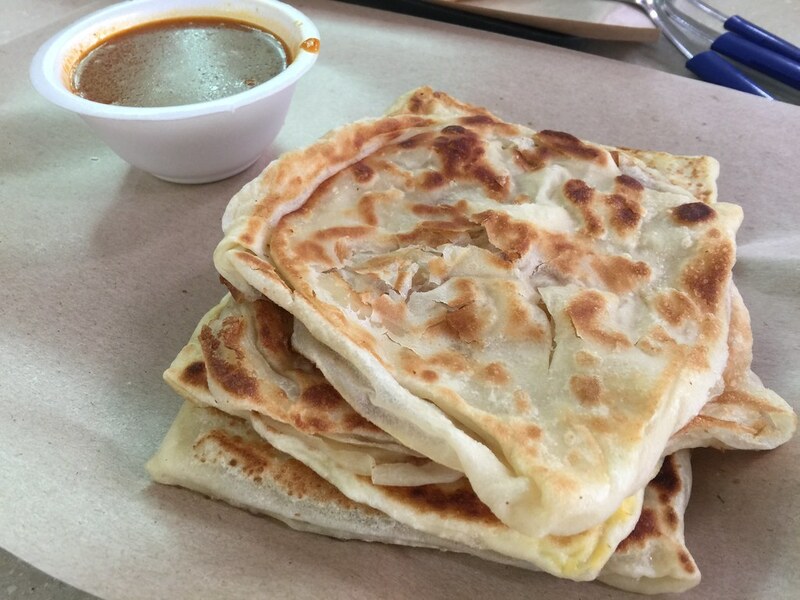 A minimum order of 2 is required for the Plain Prata ($1.80 for 2pc). The prata had a nice buttery aroma which is fluffy, doughy and slight crispiness on the exterior. It is the type of prata texture that I enjoy, not those that is overly crispy. The Egg Prata ($1.50) is as good too. The egg gave the prata an additional layer of texture and bite. Not forgetting the curry, dip into it for a complete enjoyment of these fried flatbread.